抄録：　Simple distribution models (SDMs) have deficiencies in portraying irregular forest diameter structure. This paper introduces mixture distribution models (MDMs) to improve the estimation accuracy of stand volume of Siberian larch (Larix sibirica Ledeb.) forests. Stand volume was estimated by combining the suitable diameter mixture model and diameter-height model. Appropriate mixture models are derived by integrating multiple SDMs of Burr III and XII, Johnson SB, Weibull or lognormal probability density functions (pdf) that satisfied the criteria of goodness of fit tests. Results showed that the average bias of volume estimation for all of the study plots using SDM and MDM approaches are underestimated by 6.93 and 2.42 m3, respectively. Each of the estimates is equivalent to an estimation error of 25.59 ± 18.18 and 7.08 ± 2.97 %. This suggests that the MDM approach is a more flexible and suitable modeling technique for forest volume estimation, in particular for forests that have been frequently disturbed by natural events. 抄録：　This research contrasts the financial profitability of different agroforestry practices in community-based buffer zone management of Madhupur National Park (MNP), Bangladesh. This park is the second largest in Bangladesh and subjected to enormous anthropogenic pressure and land rights-related conflicts. This paper reports the different agroforestry practices of villagers in different modules of the buffer zone of MNP, identified by a participatory research approach. It then assesses the profitability of each module on the basis of cost-benefit analysis, net present value, internal rate of return, and annualized income. Results indicate three agroforestry systems were being practised in the buffer zone by the participants: agro-silviculture, agro-silvo-horticulture, and combined woodlot and agroforestry. Among these modules, agro-silvo-horticulture was the most profitable, followed by agro-silviculture then combined woodlot and agroforestry. We recognize that not all of the participants can practise intensive agroforestry; our results suggest that the community-based buffer zone management strategy for MNP would benefit from prioritizing agroforestry practices where possible. This will lead to more successful buffer zone management for the conservation of natural forests while supporting the development of local resource-dependent communities. 抄録：　Dry deciduous forests of the eastern lateritic part of India are a typical case where forest valuation is yet to be integrated with the non-timber forest products like wild edible mushrooms (WEMs), which have a wide use in subsistence and cash income. A detailed accounting of the production and utilization of WEMs harvested from that region was made to highlight the economic worth of WEMs to the Santal community of this region. The WEMs production in the forest was in a polynomial pattern during the monsoon period. The net present value of revenues from WEMs was estimated to be contributing 9.83 and 10.29 % of total annual income of a Santal family of the Choupahari and Gonpur forests, respectively. The ecological footprint of the Santal communities on WEMs was higher in the forest area which was closer to the local markets than did the distant ones. Forest areas of the eastern lateritic part of India have a strong potentiality to produce WEMs that may be helpful for socio-economic upliftment of local tribal communities through the development of entrepreneurship and policy making. 抄録：　Dense jujube (Ziziphus jujube Mill. CV. Lizao) plantations with a spacing of 2 m between trees and 3 m between tree rows have been established in the semiarid hilly region of the Chinese Loess Plateau since 1999. Our objective was to assess differences in the vertical and horizontal root distribution with stand age based on a trench wall analysis of the roots. The stands were 4, 8, and 11 years old. We investigated three root diameter classes for each stand, which consisted of fine (< 1 mm), medium (1?3 mm), and coarse (> 3 mm) roots. Our main findings were as follows. (1) All diameter classes of root intersects increased significantly with stand age (P < 0.01). However, the proportion of the three diameter classes in the total roots remained about the same, regardless of stand age. (2) Root intersects decreased significantly with soil depth (P < 0.001). (3) There were no significant differences in root intersects with distance from the trunk (P > 0.05) in this dense planting pattern. These root distribution patterns may enhance our understanding of the dense jujube plantation belowground root ecology and provide a basis for jujube plantation management practices in this semiarid hilly region. 抄録：　We selected four sites of ChinaFLUX representing four major ecosystem types in China‐Changbaishan temperate broad-leaved Korean pine mixed forest (CBS), Dinghushan subtropical evergreen broadleaved forest (DHS), Inner Mongolia temperate steppe (NM), and Haibei alpine shrub-meadow (HBGC) ‐to study the seasonal dynamics of ecosystem water use efficiency (WUE = GPP/ET, where GPP is gross primary productivity and ET is evapotranspiration) and factors affecting it. Our seasonal dynamics results indicated single-peak variation of WUE in CBS, NM, and HBGC, which were affected by air temperature (Ta) and leaf area index (LAI), through their effects on the partitioning of evapotranspiration (ET) into transpiration (T) (i.e., T/ET). In DHS, WUE was higher at the beginning and the end of the year, and minimum in summer. Ta and soil water content affected the seasonal dynamics of WUE through their effects on GPP/T. Our results indicate that seasonal dynamics of WUE were different because factors affecting the seasonal dynamics and their mechanism were different among the key ecosystems. 抄録：　In central Argentina, Serrano forest has a long history of fire disturbance; however, the impact of fire on avifauna remains unknown. We compared the avian?habitat relationships in forest patches with low, moderate, and high fire regimes using a community-level (species richness, abundance, ordination and guilds) and species-level (indicator species analysis) approach. In patches under each fire condition, we recorded bird community composition, richness and abundance, and different vegetation structure variables. The site under high-severity fire regime was structurally poor and had been converted from original forest to dense grassland. There, diversity of bird community was low, retaining approximately 30 % of the species present in the least impacted site. Avian assemblage was dominated by generalist and open area birds. Guilds were underrepresented, showing an important reduction of foliage granivorous, nectarivorous, omnivores, and foliage and bark insectivorous, and absence of fly-catchers. Moreover, low abundance of forest understory, midstory, and canopy species and of birds belonging to open and closed nesting guilds was detected. By contrast, under low and moderate-severity fire regimes highest bird diversity as well as highest representativeness of most guilds was observed. Forest bird species were strongly associated with low fire disturbance, whereas moderate fire disturbance was characterized by the presence of forest and generalist species. Given the critical conservation status of Serrano forest in Cordoba, Argentina, habitat restoration and protection of forest relicts could be suitable measures to promote avifauna preservation. 抄録：　Many ecologists in East Asia consider that Kira's coldness index (CI) of -10 °C month agrees well with the northward and upward limits of evergreen broad-leaved forest (EBLF). It is of interest to establish whether CI is an effective indicator of the upper limit of EBLF in a tropical-to-temperate transitional island. A case study in Taiwan was conducted through a comparison of CI layers with field vegetation information. The results from spatial analysis revealed that the location of CI = -10 isotherm was approximately 3,381 m a.s.l., within the Abies zone. The analysis of plots showed that vegetation near CI = -10 isotherm was evergreen coniferous pure forest with 99.9 % relative dominance. The CI = 0 isotherm lay at approximately 2,594 m a.s.l., close to the boundary between the Tsuga-Picea and upper Quercus zones, with the CI = 0 isotherm in the transformation zone between evergreen coniferous and broad-leaved trees. However, the vegetation near CI = 0 isotherm tended more toward coniferous forest showing a total relative dominance of 78.26 %. The two-way cluster dendrogram of vegetation plots revealed identical results. The preceding evidence, combined with the spatial pattern of 3,564 plots along CI and elevation gradients, made it clear that CI did not indicate the upper limit of EBLF in Taiwan. Other information on the CI criterion are discussed. To explore the differentiation of altitudinal vegetation, further research should be made to connect ecoclimatic factors such as effective warmth index with information from vegetation plots. Title： What controls the distribution of the Japanese endemic hemlock, Tsuga diversifolia? 抄録：　A new species richness estimator applicable to probability sampling with fixed-area (a) plots in a finite-area (A) population is presented and tested in simulated sampling from three stem-mapped forest compartments, and from six large collections of forest inventory data. The estimator of richness is the average number of species per plot times the sum?over the N = A/n plots in a population?of the probability (p m ) of observing a new species in the mth plot (m = 1,..., N). A Cauchy distribution function is used to capture trends in pm . The parameters of the Cauchy distribution were estimated by optimizing a weighted maximum likelihood function. In comparison to five presumed best alternative estimators, the new estimator was 'average' with respect to bias, but best in terms of average root mean squared error. Taking the average of the estimates of richness produced by the five alternate and the new estimator would, generally, keep bias below 15 %. With relatively large sample sizes, the bias is moderately small (<10 %). 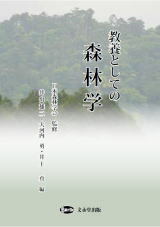 抄録：　The purpose of this study was to investigate how forests on subtropical mountains, which resembled tropical and temperate forests, were assembled, and to examine the compression and overlap of vegetations. We established 344 sample plots (400 m2) located at different altitudinal gradients ranging from 16 to 3,500 m above sea level (ASL) in Hsueshan Range northern Taiwan. Vegetation types were classified by TWINSPAN and the results of DCA were used to analyze the changes in vegetation types along elevation. Vegetation I was composed of the species of Euphorbiaceae, Moraceae, and Rubiaceae, which were taxa of tropical floristic elements, and the extent of this vegetation was limited below 1,500 m ASL. Vegetation II was defined into two subtypes, which were distributed from 1,000 to 2,500 m ASL, and were composed predominantly of Chamaecyparis and Tsuga, respectively. Our data also revealed that vegetation II contained co-dominants of species from families Lauraceae and Fagaceae. Moreover, evergreen broadleaved trees similar to tropical mountain forests were found to have narrower altitudinal ranges on subtropical mountains, whereas coniferous forests resembled temperate areas and were characterized by endemic conifer species. Vegetation III, from 2,500 to 3,500 m ASL, was characterized by endemic conifer species, Abies and Tsuga. Interestingly, deciduous forest was almost absent in this area and Fagus was the only tree type on a small mountain ridge. Data obtained from this study will help in raising conservation awareness for subtropical mountains since unique patterns of compression and overlap characteristics of tropical and temperate resembling forests were evident. 抄録：　Understory vegetation is an important component in forest ecosystems. However, the effects of understory on soil properties in subtropical forests are not fully understood. We thus conducted an experimental manipulative study in two young fast-growing plantations－Eucalyptus urophylla and Acacia crassicarpa－in southern China, by removing understory vegetation in both plantations, to estimate the effects of understory vegetation on microclimate, soil properties and N mineralization. Our data showed that, after 6 months, understory removal (UR) in both plantations had greatly increased soil surface luminous intensity (90?500 cd) and temperature (0.5-0.8 °C); soil moisture was reduced in the Eucalyptus plantation but not in the Acacia plantation. Understory removal also reduced soil organic matter (SOM), but had little impact on other soil chemical properties, including total phosphorus, C/N, pH, exchangeable cations (K, Ca, Mg), available P, ande extractable NH4?N and NO3?N. We found a significant decline of soil N mineralization and nitrification rates in the 0?5 cm soils of UR in both plantations. The decline of SOM in UR may contribute to the lower N transformations rates. This study indicates that a better understanding of understory vegetation effects on soil N cycling would be beneficial to forest management decisions and could provide a critical foundation for advancing management practices.